Based in Koregaon Park, the MNC hub of Pune, stands tall a nine storey luxurious and much publicized property called The O. The five-star hotel fuses together contemporary concepts and plush designing to befit its discerning clientele. Ever since this luxe property opened its doors to the crème-de-la-crème of Pune, it has left no stone was unturned when it comes to wellness. The 6000 sq. feet stunning O Spa is the result of that notion. After exploring some of the biggest sectors like aviation, automobiles and real estate, in 2008 the Oxford Group delved into the hospitality sector with a chic brand called The O Hotel. 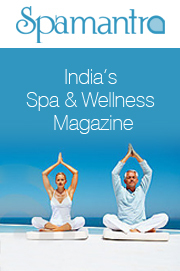 Today, the brand has two branches at Goa and Pune that follow extravagant design models and wellness traits. The hospitality brand was always known for its fashionable and grandeur concepts and was always mindful of putting together a wellness brand that spills a similar look and feel. To be a prominent wellness player in and around the metro, affluent owners of The O, Anil and Neelam Seolekar wanted to make sure the hotel’s wellness project harmonized perfectly with its lush concept. For this, a decision on choosing a wellness partner to manage and bring the best to its guests was on top of their list. 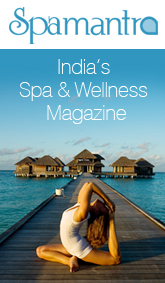 Hence, The O handpicked the one of the country’s leading spa brand – Pevonia. 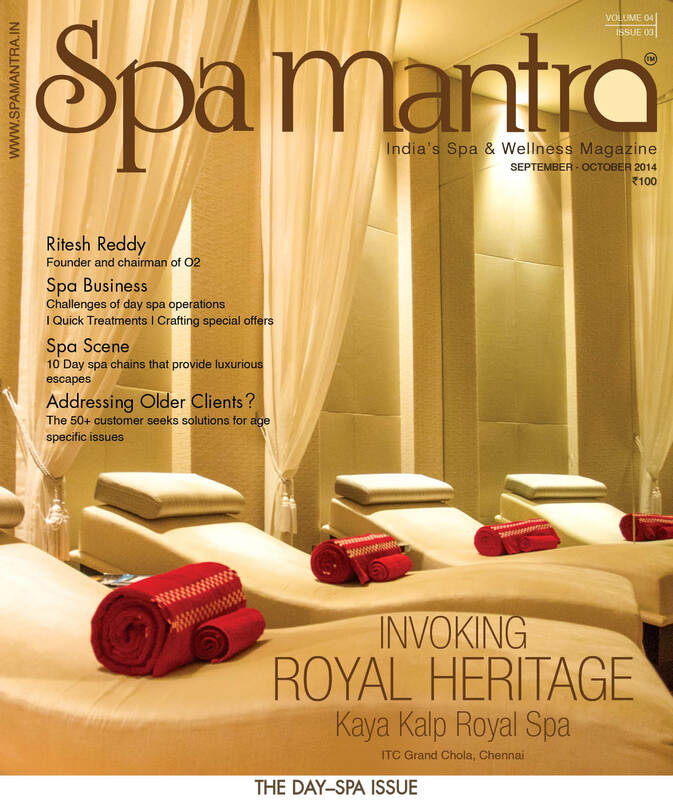 In a pursuit to create a luxurious haven for a healthy lifestyle, Shekar Patki, Architect Designer and Interior Designer, Leslie Harbottle from South Africa took all the required measures to make O Spa the best a city could have. Unlike most day or hotel spas, the O spa is housed on the ninth floor of the hotel building thus blanketing out all the sounds of the town’s hustle and bustle. The spa has a contemporary style that can be seen in every nook and corner; however, a conscious effort was made to keep it looking natural. Hence, plenty of natural materials like wood and grey slate, marble, etc. were used. Although the spa has a minimalistic, classy design to suit its discerning clientele, it does stir up some drama and edge in its salon. Spread over 6000sq. 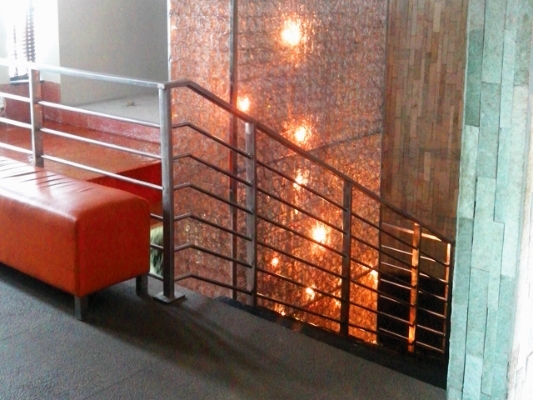 feet, the spa section encompasses the indoor and outdoor spaces. The indoor is segregated into a reception area, four rooms, a couple suite, a state-of-the-art gymnasium, a stylish salon, relaxation area and a mani-pedi section. 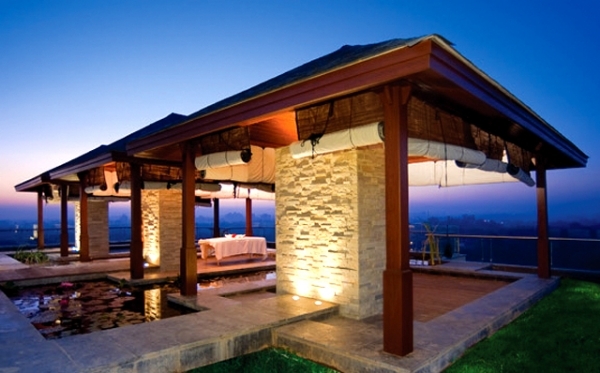 While the outdoors creates a perfect ambiance for spa experiences is undoubetedly the O’s USP; the terrrace accomodates three open cabanas overlooking lush greens and the sky. The cabanas are also surrounded by shallow water bodies and huge eathern pots. 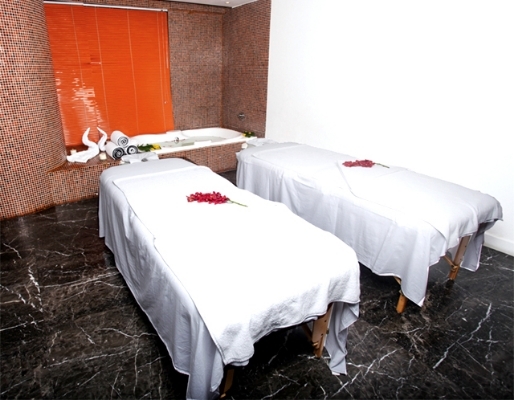 The spa is painted in soft earthy colours like orange, greys and offwhites that complement its wooden flooring. 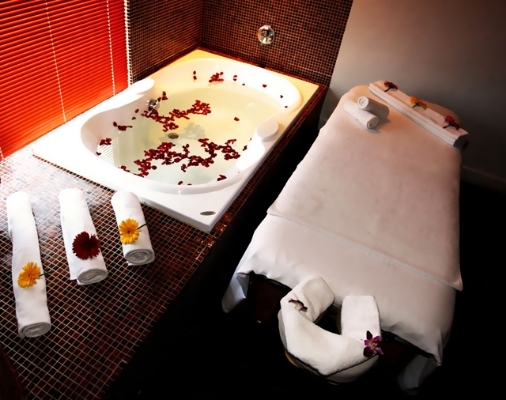 LED and halogen lighting is used throughout the spa; however, the aisles and relaxation area are dimly lit while each room has mood lighting to create calming and soothing environment. 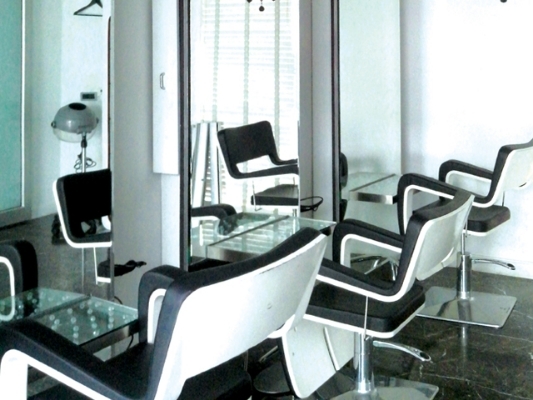 The five star property’s spa hosts both domestic and international equipment brands like Porche, Gamma, Cosmopro, Living Art; these were all sourced by Pevonia India. While for interor details soft furnishings and furniture are acquired from Passionate Enterprise and The Carpenters at Oxford Team (a parent company) respectively. Since the O spa is supported and managed by Pevonia India one can rest assured that the best service will come from its staff. Larshana (Lara) Singh, the Center Manager, manages and guides 20 therapists at the spa. However, Lara mentions that it isn’t easy to be appointed at the O without a reference check. A thorough screening of the candidate and a basic education of a minimum 10 + 2 is a mandate at the spa. An experienced therapist must bring with him/her a character and training certificates. However, for a junior level, training certificates from a reputed institute/s is required. The O spa staff goes through a monthly evaluation to assess the therapist capability; if the therapist is not up to the mark, refresher training is conducted. At the spa, induction and refresher training are conducted the Center Manager, while an update of the latest products by the spa brand – Pevonia is delivered by Corporate Technical Trainers every 6 months. The curriculum also involves modules on soft skills and spa etiquettes training by the Center Manager/Hotel Trainer; also a guest lecturer trains staff on First Aid Training, Pool Safety and Disaster Management. The O caters to business travelers and elites that stay or just avail of the fantastic treatments the spa and salon offers. A surplus of beauty and body therapies is found in a multipage booklet that unravels some of the best of eastern and western treatments. Being associated with a spa brand like Pevonia, the spa has an added leverage of offering its guest the best of products. After a tour of the spa with Larshana, I was allowed to make a decision on the treatment I wanted. I chose to get a something different this time… I choose to indulge in a quite intriguing treatment called the Moroccan Rassoul Wrap. But before I was ready to surrender myself into the hands of the therapist, I had to follow the spa’s treatment protocol. A customer form needed to be completed based on my medical purpose, massage pressure and consent. The lights were dimmed and soft music played in the background making the ambiance peaceful. The 90 minute Moroccan Rassoul Wrap treatment started off with an Aromatic Salt Glow scrub, an exfoliating sea salt scrub is enriched with Ylang Ylang, Tangerine and Lavender that restored the skin’s radiant glow and leaving it smooth and mineralized. I was asked to then bathe and come back for step 2 that involved a warm volcanic mud generously applied to the entire body. This treatment stimulated the release of impurities. The entire body was then wrapped to absorb enriching minerals. This treatment helped to deeply hydrate the skin. It left me feeling spoilt and my skin soft and nurtured! Thanks to Lara and her team at the O spa and salon and The O for a wonderful experience! Larashana has been working for four years in the wellbeing industry and has knowledge in spa Therapies, beauty, Fitness, training, customer service and Management skills. At the O spa she manages stock inventory, PR, recruitment, appraisal, sales and marketing. Jul 15, 2013 10:23 am 0 Comments.